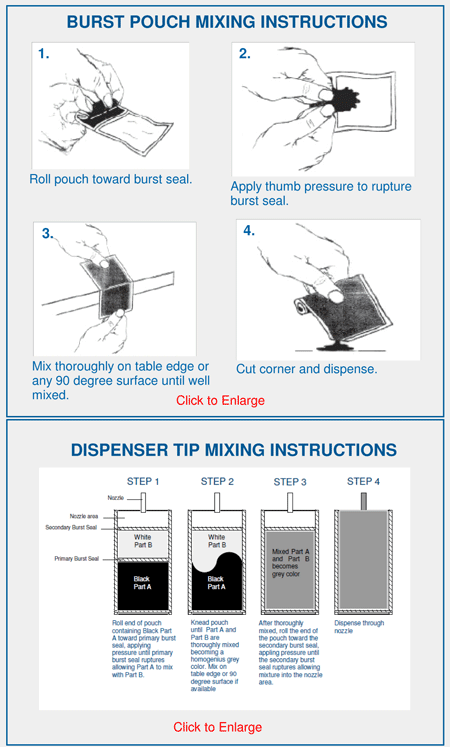 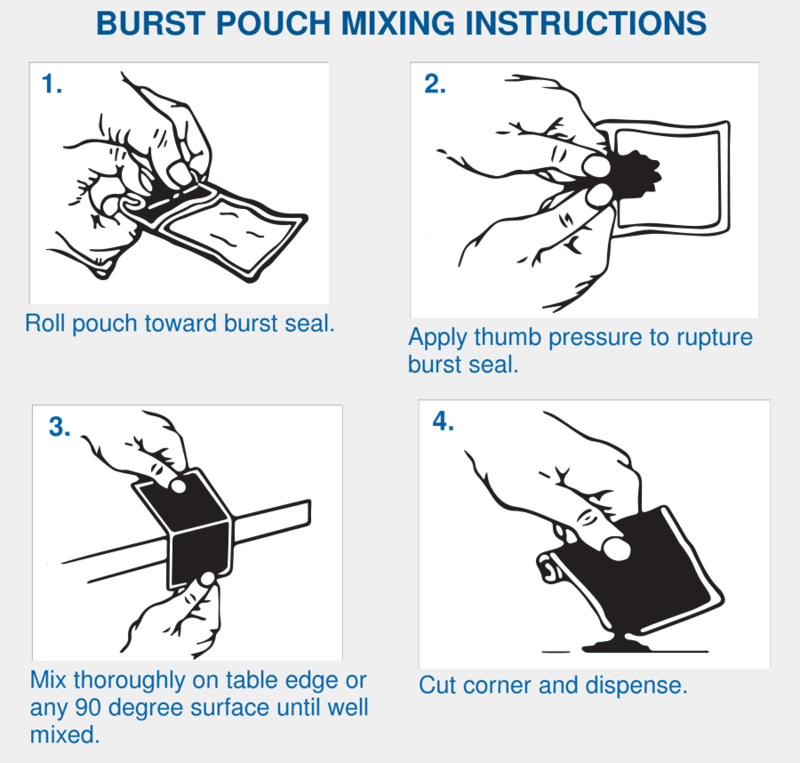 Illustrated mixing instructions can be printed directly on your custom burst pouch (burst bag). 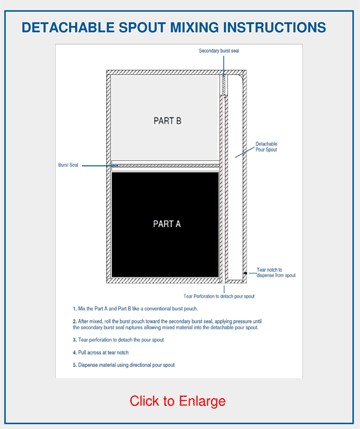 Authorization for copyright exception is available to allow use of illustrations and language on websites, inserts and marketing materials. 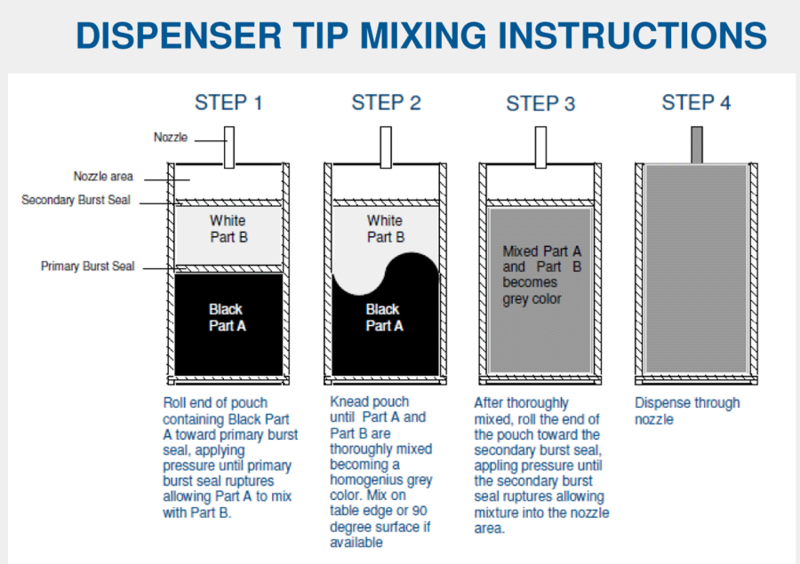 Requests must be made in writing and only expressed written authorization allowing use of copyright materials is valid. 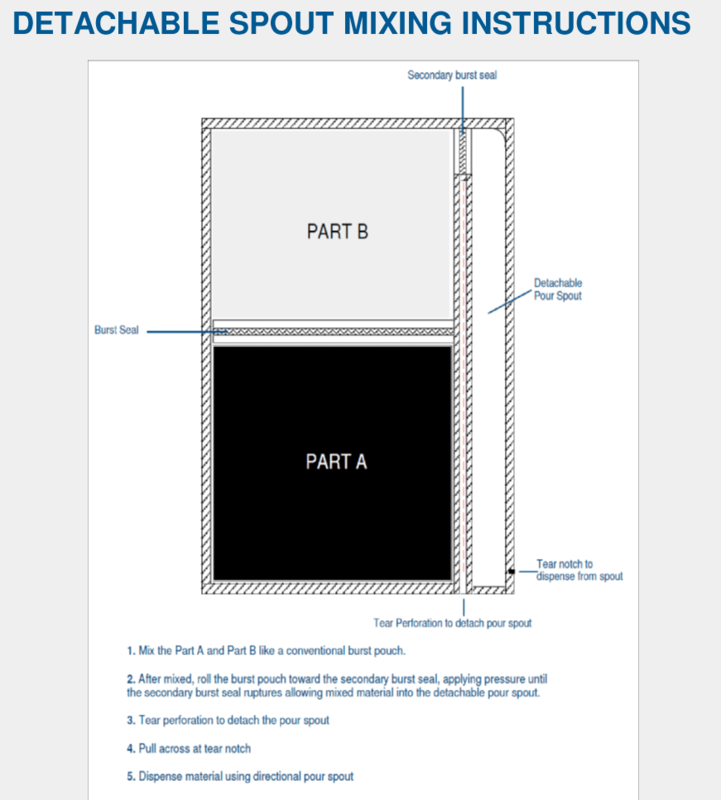 Our graphics department can create custom instructions and or diagrams, including your logo and company information with printing up to 10 colors.